You are here: Home » Lotterywest » The winning experience blog » Thanks WA! Every year, the dreams of thousands of Western Australians are realised, simply by you playing Lotterywest games. We’re the only state in the nation, and one of the few in the world, where all the profits raised from Lotterywest games goes directly back to the community. 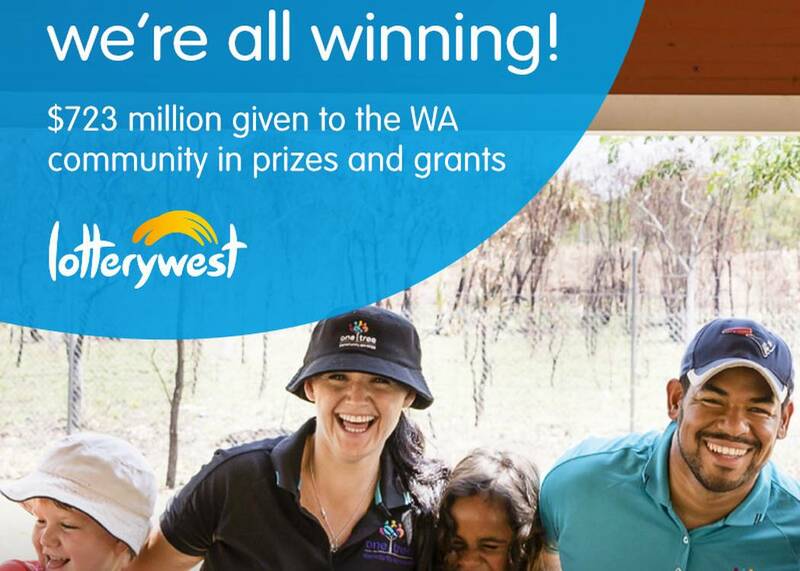 The 2017/18 financial year has seen Lotterywest deliver $723 million* back to the people of WA through prizes and grants. Over $463 million was shared amongst WA lottery winners, including 68 lucky players who won a Division One Lotto prize and a further 58 players taking home a Top Prize on our Scratch’n’Win games. But it wasn’t just those who collected a lottery prize who were winners – so was the WA community with $260 million given back to hospitals, sports and recreation, culture and the arts, and hundreds of not-for-profits and Local Government Authorities. We want to say a huge THANK YOU because none of this could be possible without the people who play and the stores who sell Lotterywest games. So thanks WA - we’re all winning! Share our Facebook post to spread the word about how a grant in your local community has made a difference.